For you Diana. Still telling everyone. Everyday. In the fall of 2007 I met a woman from New York City. Diana House was sitting in the lobby of the Mays Clinic at MD Anderson. She was worried, not about her cancer, but that she had not budgeted enough time for her appointments and would miss her flight home. “What to do?” She was muttering to herself. I stopped her, told her I was local, she could have my appointment and I would reset mine for another day. I went to talk to the clerks and it seemed one reason the clinic was so busy that day, was due to a mistake and many of the patients had been overbooked and my effort to help was not very helpful at all…seems we both had 1:15 pm appointments…with the same doctor! That was the beginning of a wonderful friendship. Diana was a nurse, diagnosed with a disease she had never heard of prior to her own experience. She was as passionate as anyone I have ever known about the need for IBC education. She would call me up all hours of the day and night with ideas. Those ideas turned into some important IBC education. Every time she came to Houston, I attended her appointments with her and even when the cancer over took her brain, she was still as passionate for her mission, and never lost her most amazing sense of humor. One day she dragged me to a craft day at MDA. Everyone was drawing pictures, doing silly photos with hats. Not Diana, she had a different idea. 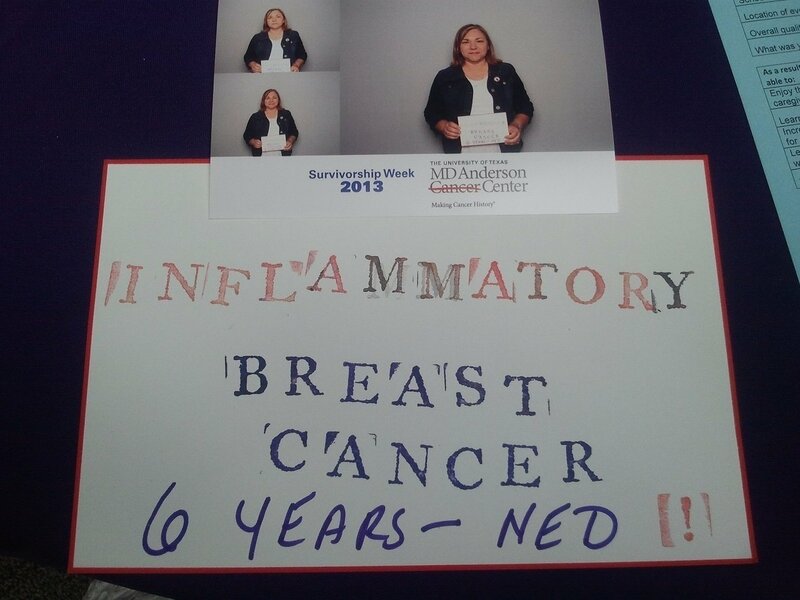 She had made a card like one used in a mug shot, wrote Inflammatory Breast Cancer on it with her MDA patient number and had her photo made facing front and side ways, as if she had been arrested. It was one of the funniest things I had even seen, from the first minute you viewed it. Then some depth came into play, a message, that her body was arrested, under attack, held against her will, by cancer. I wish I had a copy of that photo. 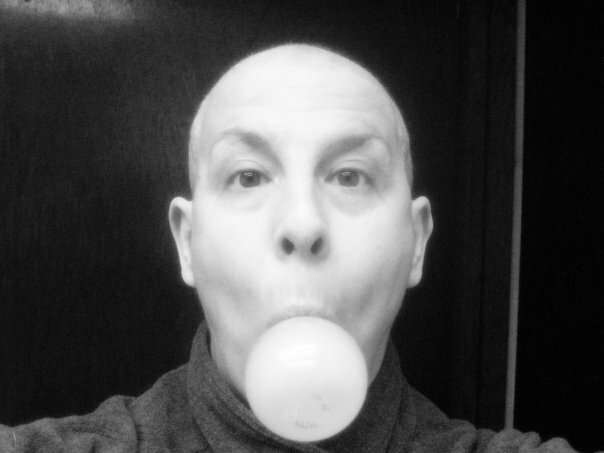 Diana didn’t like being bald, but she liked making me laugh. I could tell you so many stories of her, her spirit, her wit, her friendship, but words fall short. I was with Diana at the first of her journey on accident, but I was at the last of her journey by choice. I stayed with her for three days straight in hospice, giving her family a break, and me 72 more hours with my friend. I promised her I would not forget to laugh and I would tell everyone about IBC. Fate brought us together that day, to give hope, education and a voice to a disease that was overlooked. So Diana, when I did that photo at the MDA survivorship day, it was my nod to you. I am keeping my promise.